Domains sk16.eu and 2016sk.eu are developped, administered and published as a portfolio project of the start-up company wizzion.com Unternehmergesellschaft (haftungsbeschränkt). Company specialization: Development and administration of IT and new-media projects. Handelsregister information: Amtsgericht Charlottenburg HRB 174872B. CEO: Daniel Hromada, PhD. Contact mail: info@sk16.eu and wizzion@wizzion.com. We always link to our sources, but it may be the case that some people consider it insufficient. Hence, we kindly ask You to contact us as soon as possible if ever You notice any potential breach of Your copy rights by our site. In case of reception of a valid request, the situation shall be rectified immediately. 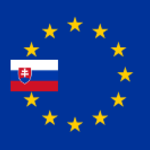 Word of caution: these domains, subdomains and associated social network accounts are not to be considered as official internet presentations of Slovak 2016 Presidency of EU Council and statements and opinions hereby presented may, or may not, fully correspond to opinions and statements held and presented by official representants, functionairies or officers of Slovak Ministry of Foreign and European Affairs. Any such similiarity is to be considered as purely accidental or plainly congenial.